RDA Orana’s aim is growing economic development across the region. This is being achieved through building partnerships and ensuring that all governments and stakeholders are responsive to local priorities and needs. It is a conduit between government and local communities, and a provider of information. The Orana, meaning ‘Welcome’ in Wiradjuri, is the largest and most diverse region in the state, covering an area of 25% of NSW. It services a population of more than 121,000. Our region stretches from across the Central West and Western region of NSW, extending from Mudgee in the east to Bourke in the west and comprises the local government areas of Bogan, Bourke, Brewarrina, Cobar, Coonamble, Dubbo Region, Gilgandra, Mid-Western Region, Narromine, Walgett, Warren and Warrumbungle. 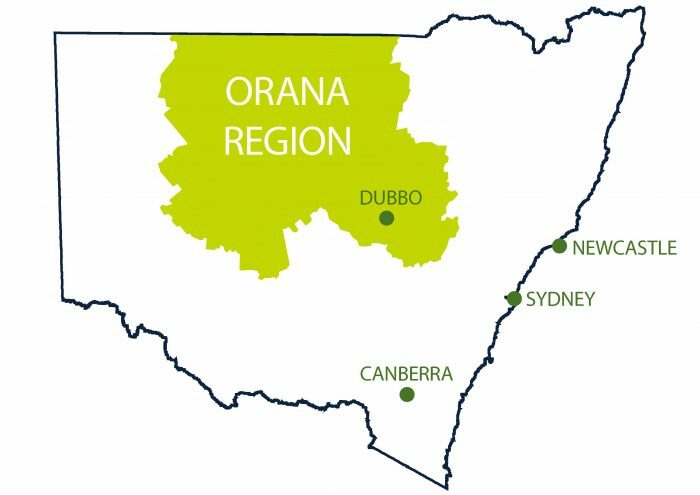 Regional Development Australia- Orana is part of a national network of 55 locally managed, not-for-profit incorporated associations and is funded by the Australian Government. To support the development of the Orana Region by facilitating industry collaboration, encouraging public and private investment and supporting cooperation between all stakeholders. A regional powerhouse recognised for production, value-adding, linkages and entrepreneurship.